Angela Barbee-Hatter was appointed director of global design operations for General Motors in 2013. She oversees teams responsible for creative digital imaging, visualization, workload planning, talent acquisition, facilities, and budget for GM's North America Design Center and is the global lead for Europe, China, Korea, Australia, and South America design operations. Barbee-Hatter has held numerous leadership positions while at General Motors in manufacturing, engineering, and test and development. She also has held the position of adjunct professor at Purdue University School of Mechanical Engineering. She earned a bachelor degree in mechanical engineering from Wayne State University and a master degree in mechanical engineering from Purdue. Linda Cash is executive director of vehicle operations manufacturing engineering at Ford. She has been with the company for 29 years and began her career there as an industrial engineer in final assembly. "I was appointed to the role of manufacturing engineering manager at Atlanta Assembly," she said Ford online article. "I was the first and only female to have the position in Atlanta. I was responsible for maintenance and engineering, which included complete responsibility to achieve production, efficiency and budget goals. This is the position where it all came together for me and the true potential that one could have at Ford was crystal clear." Latondra Newton serves as group vice president and chief social innovation officer of Toyota Motor North America and project general manager of the corporate citizen division of Toyota Motor Corporation. She is responsible for Toyota's diversity and philanthropy functions across national affiliates). Additionally, Newton is responsible for the establishment and operations of the Toyota Mobility Foundation, focusing on safety, access and ecology. Since 2009, Newton has held leadership roles at TMA, overseeing corporate planning activities, corporate image research, economic forecasting, competitor analysis and corporate marketing. She has worked at Toyota since 1999. Judy Brunson is a member of the Powertrain & eDrive Executive Leadership Team at Mercedes-Benz Research & Development North America. She has 20 years of experience in research, design, development and release of both conventional and alternative automotive propulsion systems. One of her responsibilities as head of operations has been the proactive development of a bi-directional communications infrastructure interface for Mercedes Benz eDrive vehicles in the U.S. Brunson has current research, design, development, and release support responsibilities for all eDrive High Voltage components, systems and safety. Brunson, who electrical and mechanical engineering degrees, holds one patent and has another pending. Arvis Sutton Williams, Head of Fiat Chrysler's New Model Program Management, is responsible for the advance feasibility, development, design, process, construction and launch of new vehicle programs. She manages more than $100 million in capital assets to support the execution of manufacturing at Fiat Chrysler stamping operations facilities in North America and Canada. She has successfully achieved results for more than 26 years at General Motors, Toyota and Fiat Chrysler. Williams has directed launch activities for: advanced engineering, manufacturing engineering, assembly, body-in-white, powertrain, machining, stamping, plant maintenance/ facilities engineering, project management and pre-production. Williams earned a bachelor's degree in mechanical engineering technology and a master's degree in administration. General Motors Co. added Linda Gooden, a former executive vice president of Lockheed Martin Corp., as a director, giving the board a fifth woman and second black member. She joined the board in February 2015 as its 13th director. Gooden retired from Lockheed as executive vice president in 2013. She also served on the National Security Telecommunications Advisory Committee, appointed by President Barack Obama in 2010. Alicia Boler-Davis was named senior vice president, Global Connected Customer Experience, for General Motors in November 2014. Previously she was senior vice president, Global Quality and Global Customer Experience. Under her leadership, GM fundamentally redefined customer care and its interaction with customers through social media channels and Customer Engagement Centers. She also served as plant manager at various locations. Boler-Davis began her GM career in 1994 as a manufacturing engineer and has held many positions of increasing responsibility in manufacturing, engineering and product development. She has a bachelor's degree in chemical engineering from Northwestern University and a master's degree in engineering science from Rensselaer Polytechnic Institute. Jocelyn Allen has been appointed to lead General Motors diversity efforts. Currently working as the director of Grassroots and Diversity Communications, Allen will now add on the role of helping lead the company's Marketing/Communications Diversity Center of Excellence alongside Megan Stooke. Allen has been at GM for 15 years and previously served as vice president of corporate communications. 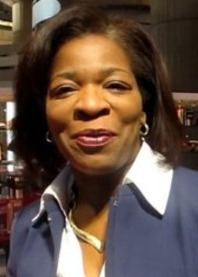 Machelle Williams is general manager of diversity and corporate social responsibility at Volkswagen Group of America. In this role, which she has held since May 2013, she said she focuses on creating sustainable diversity and inclusion practices that will help Volkswagen of America reach its goals of becoming "both a top employer and the most admired automobile company in the world." She has held various positions at Volkswagen since February 2003 as a diversity and customer experience leader. She cites as her specialties designing and delivering impactful diversity strategy workshops at the executive level that lead to organizational change. Olabisi Boyle is director of engineering planning and technical cost reduction at Chrysler. She has 20 years of experience leading engineering, quality, manufacturing, and operations teams. She has worked at Chrysler since 2004 in various engineering positions. Previously Boyle spent nine years at Ford. Boyle is co-chair of Chrysler African American Network Board of Directors. She earned bachelor degrees in physics and industrial engineering and a master's degree in mechanical engineering from various universities. Felicia J. Fields is Ford Motor Company's group vice president for human resources and corporate services since 2008. Fields provides expertise in succession planning and talent management, strategic workforce planning, compensation and benefits, organization development, recruiting, and leadership and professional development. She is also responsible for corporate security, travel and the company's Dealer Policy Board. Since joining Ford in 1986, Fields has held human resource leadership positions in manufacturing, research, information technology, finance, product development and corporate development. She is a third-generation Ford employee. Janet Marzett, vice president of operations-Americas at Mercedes-Benz Financial Services, began her career working in administrative positions, advancing into increasing responsibility across many functional areas of the company. Today she employs more than 500 people in the U.S., Argentina, Brazil, Canada, Mexico, and Columbia. Marzett's commitment to promoting diversity and inclusion in the workplace is a trademark of her 35-year career with Mercedes-Benz Financial Services, and she is currently a member of the company's Global Diversity Council. Marzett was most recently honored as "Executive of the Year" at the 19th Annual Urban Wheel Awards in Detroit, Michigan.